• Size: SML, MED, LRG, XLG. • Color Options: Blue, Red, Yellow. 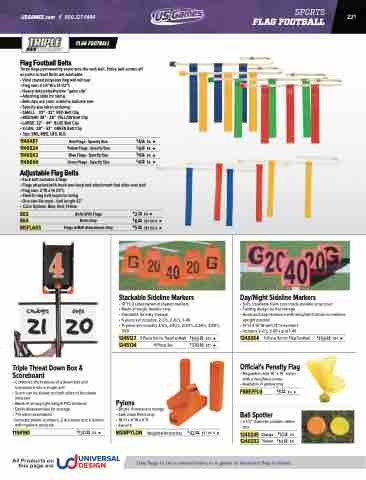 Use flags to tie to wheelchairs in a game of disabled flag football!